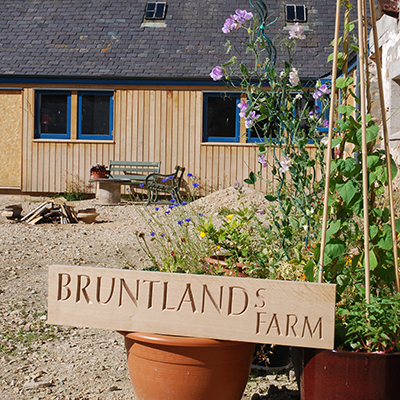 In May 2015 we moved our life north and are now based at Bruntlands Farm, near Elgin, in sunny Morayshire. Over the last 2 years a very run down farm steading has been converted into a lovely, spacious workshop. Apologies to all existing and potential clients for keeping a low profile during this time. We started working with The Balvenie Distillery in 2010, initially to design and make a presentation box for The Balvenie "40", but latterly 3 releases of The Balvenie "50" and currently The DCS Compendium. For more information on these rare expressions of The Balvenie please explore The Balvenie website. The SFMA holds an annual exhibition in either Glasgow or Edinburgh. It usually takes place in the autumn. For the details of up coming exhibitions please visit the SFMA website. The Balvenie Commission. A beautiful site dedicated to craftsmen and craftsmanship.